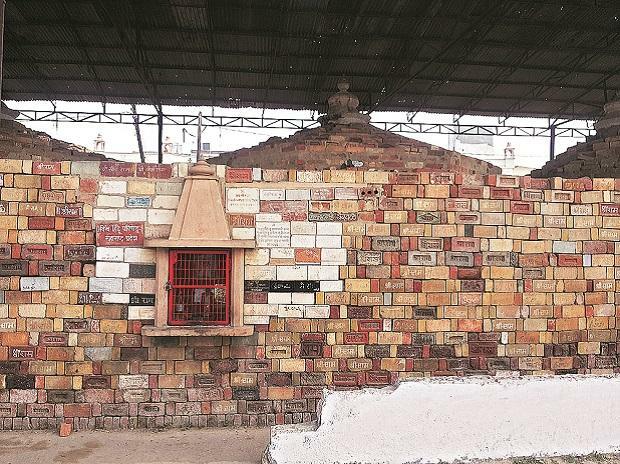 Swami Paramhans Das, mahant of Tapaswi Chawni temple in Ayodhya, has threatened self-immolation on December 6, if the construction of Ram Mandir in Ayodhya was not officially announced by then. He said Prime Minister Narendra Modi and UP Chief Minister Yogi Adityanath must make the announcement by December 5. Paramhans sat on an indefinite fast on October 6, demanding a law be passed by the Modi government for construction of Ram Temple. After a week of the fast, Paramhans was detained by the police and he was made to meet UP Chief Minister Yogi Adityanath in Lucknow, who convinced him to give up the fast, the chief priest claimed. Paramhans said, "When the government forced me to break my fast, the chief minister promised me he would soon announce the date for construction of Ram Mandir. He also promised me a conversation with Prime Minister Narendra Modi where I could personally make my demands but nothing has been done." "I am giving one month to the Modi government to take steps for the construction of Ram Janmabhoomi temple in Ayodhya. This time from corporator to President of India is from Bhartiya Janata Party but they are not doing anything for Ram Mandir," the mahant told PTI. Hindus have elected BJP only for the cause of Ram Janmabhoomi and the BJP is silent over the issue, so I have decided to give my life if BJP does not come forward for Ram Mandir, he added. The Babri Masjid was demolished 26 years ago in Ayodhya on December 6.